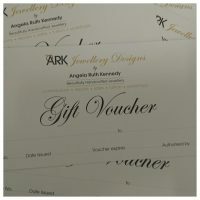 Gift vouchers make an easy gift! Look at the various options and choose from ones to purchase jewellery/put towards a commission or for tuition to make your own jewellery! A fabulous gift!